Judging from the daily outpouring of commentary, opinions and reports, you would think that there were two African continents. One of them is the new land of opportunity, with seven of the world’s ten fastest growing economies, offering limitless possibilities to investors. There is, however, this other image: a starving and hopeless continent, hungry and poor, corrupt and prey to foreign exploiters. As Africans, we are tired of caricatures. But we are also tired of waiting. Waiting to be led toward the one Africa we all want: the Africa that can and should be. We know the real Africa, filled with possibilities, dignity and opportunities, able to face its challenges and solve them from within. Never has the time been more right for us to finally realize our full potential. It is within our grasp. As a scientist, I am always interested in facts. Africa is a land rich in resources, which has enjoyed some of the highest economic growth rates on the planet. It is home to 200 million people between the ages of 15 and 24. And it has seen foreign direct investment triple over the past decade. As the head of an institution whose business is investing in rural people, I know that you also need vision and imagination. At the International Fund for Agricultural Development, we have banked on the poorest, most marginalized people in the world, and over and over again these investments have paid off: For people, for communities, for societies. And more than half of the people we invest in are Africans. More than ten years have passed since the Maputo Declaration, in which you, as African leaders, committed to allocating at least 10 percent of national budgets to agriculture and rural development – key sectors in the drive to cut poverty, build inclusive growth and strengthen food security and nutrition. In just a few days in Malabo at the 23rd African Union Summit, I will join those of you, African leaders, who will gather to discuss this year’s focus of agriculture and food security. This is my call: Don’t just promise development, deliver it, make it happen now. Make real, concrete progress toward investment that reaches all Africans – investments that prioritize rural people. Our biggest resource is our people. To squander this is worse than wasteful. If we don’t act now, by 2030 Africa will account for 80 percent of the world’s poor. Is this the legacy that we want to leave for future generations? 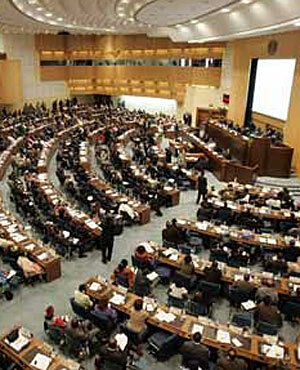 The AU declared 2014 as the year of Agriculture and Food Security. And this is the year we look beyond the deadline of the Millennium Development Goals to a post-2015 world, with new goals and targets to reach. I hope this means that we will be dedicating ourselves fully to making agriculture a priority. GDP growth due to agriculture has been estimated to be five times more effective in reducing poverty than growth in any other sector, and in sub-Saharan Africa, up to 11 times. Ironically, it is countries that lack lucrative extractive industries and had to invest in agriculture, who have found out what is now an open secret: agriculture not only improves food security but creates wealth. 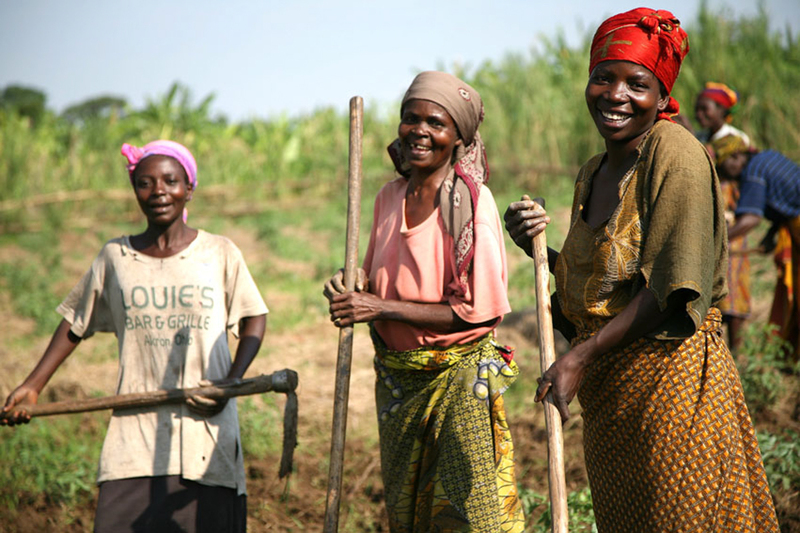 Small family farmers in some parts of our continent contribute as much as 80 percent of food production. Investing in poor rural people is both good economics and good ethics. A full 60 percent of our people depend wholly or partly on agriculture for their livelihoods, and the vast majority of them live below the poverty line. It’s not pity and handouts that they need. It’s access to markets and finance, land tenure security, knowledge and technology, and policies that favour small farms and make it easier for them to do business. A thriving small farm sector helps rural areas retain the young people who would otherwise be driven to migrate to overcrowded cities, where they face an uncertain future. Investing in agriculture reinforces not only food security, but security in general. In an Africa where 20 states are classified as fragile and 28 countries need food assistance, the need for a real rural transformation, backed by investment and not just words, is critical – I have often said that declarations don’t feed people. Investments must be focused on smallholder family farms. Small farms make up 80 percent of all farms in sub-Saharan Africa. And contrary to conventional wisdom, small farms are often more productive than large farms. For example, China’s 200 million small farms cover only 10 percent of the world’s agricultural land but produce 20 percent of the world’s food. 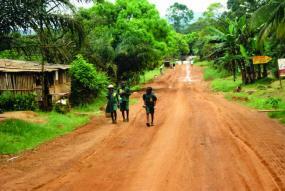 The average African farm, however, is performing at only about 40 percent of its potential. Simple technologies – such as improved seeds, irrigation and fertilizer – could triple productivity, triggering transformational growth in the agricultural sector. It is estimated that irrigation alone could increase output by up to 50 percent in Africa. Rural areas also need the right investments in infrastructure – roads, energy, storage facilities, social and financial services – and enabling policies backed by appropriate governance structures that ensure inclusiveness. If we look at the countries that have met the Maputo commitment, we see that investing in agriculture works. Given that agriculture has become lucrative for private investors, and about 60 percent of the planet’s available uncultivated agricultural land is in Africa, there is no mystery why we hear about so-called ‘land grabs’. Opportunity draws foreign investors. There is nothing wrong with foreign investment. But it has to be managed, to the benefit of all. What is a mystery is why, with such a vast potential and a young population just waiting for a reason to seize it, our African leaders do not announce that they will redouble their efforts to drive an inclusive rural transformation, with concrete commitments, that will make Maputo a reality. I hope that after the Malabo meeting, that will be a mystery no longer. African economies have grown impressively. But it is time to stop focussing on GDP figures and instead focus on people. The majority of our people are engaged in agriculture, and the neglect of that sector must stop, if we really want to realize the healthy, peaceful and food secure Africa that we know can be. It is not a dream; it is a responsibility. Kanayo F. Nwanze is the President of the United Nations rural development agency – the International Fund for Agricultural Development. 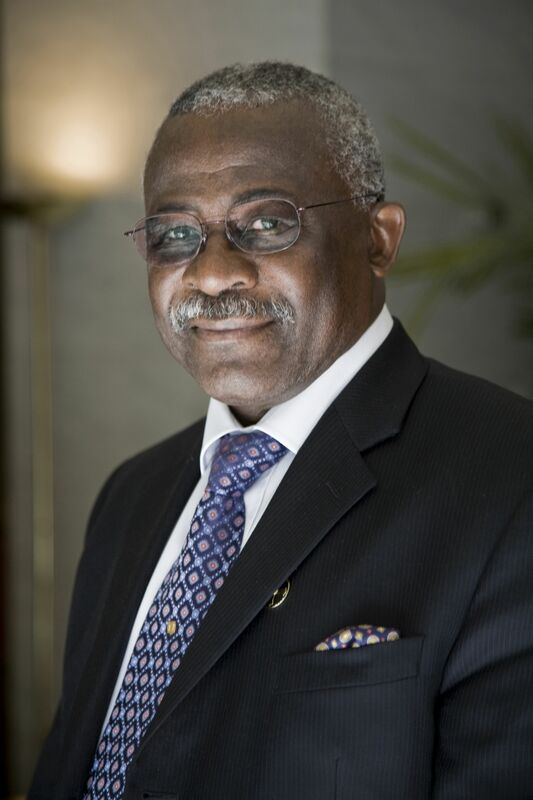 Nwanze, a Nigerian national, has been a member of the World Economic Forum’s Global Agenda Council on Food Security since 2010, and formerly chaired the group.